Modern Beauty Girl: 2 Year Anniversary! 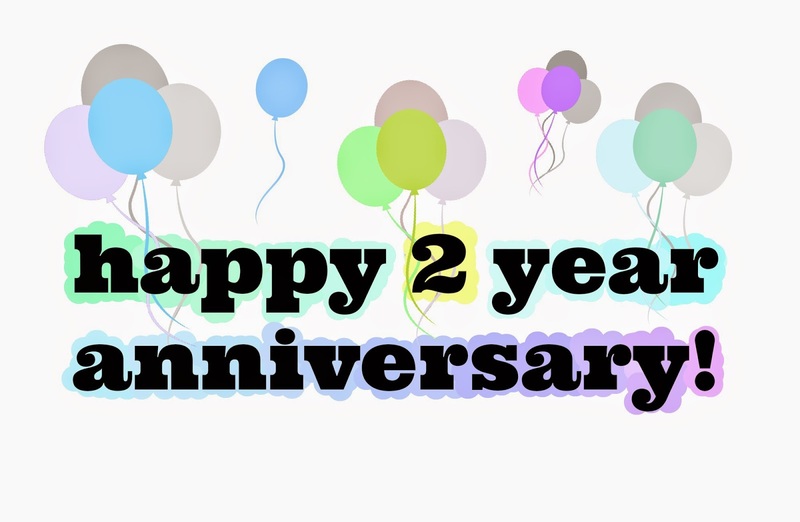 It is January 15, which means that it's my blog's second anniversary! First and foremost, I just want to say thank you to all of you. I've made some amazing friends through blogging, and I've learned so much about myself through blogging, and none of this would have been possible without you! I was looking at last year's anniversary post, and I'm kind of embarrassed at how short it is, so I though I would write a little bit on all of the accomplishments and events that my blog has gone through this past year, because I'm feeling extra nostalgic. This year I've been a lot more serious with different social medias and I've expanded a ton. I began to use my twitter more frequently, set up a facebook fan page, started to use Ello, and most importantly, created my YOUTUBE CHANNEL! Youtube has been one of the most rewarding things for me, and I am so proud at what I've been able to accomplish with it. I also recently started an email mailing list, which I'm super excited for! There are so many milestones that I've reached this year! I hit 100 and 200 followers on bloglovin, which is huge and makes me so happy! I hit 75 youtube subscribers and 650 twitter followers too! Subscribers and followers aren't super important to me, and I would definitely still do this whether there was one reader or 1,000, but knowing that people love the content I produce is an amazing feeling. I've done so many collaborations this year! Some of my favorite ones have been the Fall Makeup one with Hope from Beauty and Bliss, the one I did for the Covergirl #GirlsCan campaign, and all of my instanatural ones! Get ready for a lot more this year too! I started the "shop" page of the blog, which I am obsessed with! I also got a DSLR so I can take better pictures and videos (it's a Nikon D3200)! I also bought my domain, which was really exciting because it makes my blog seem more professional! Thank you, thank you, thank you, for making my second year of blogging absolutely incredible. I'm going on year three right now, and I am so excited to see how my blog, and youtube channel grows! I love you guys so much, and I can't explain how much I appreciate your support! Thank's for a great second year of blogging, and here's to an even better third year! haha I know! it's crazy that I've been doing this so long! Congratulations on everything you've achieved so far! I've still got to buy a domain, that's huge! thanks Ivy! when you buy a domain, definitely go through go daddy because it was super easy to set up!